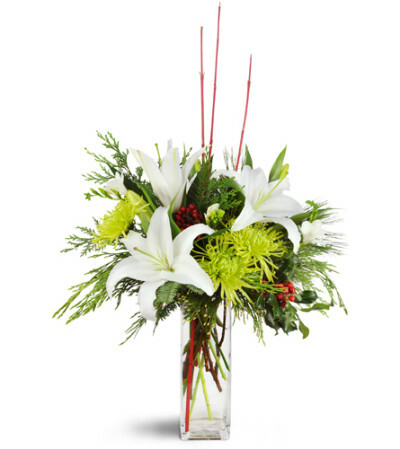 For a gift that's above and beyond the ordinary, send this elegant, extravagant treat! Impressively tall and chic, white lilies and green Fuji mums make for an exotic holiday bouquet for your stylish someone. 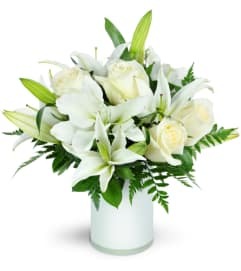 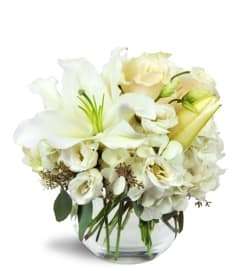 White lilies, green Fuji mums, and fragrant freesia, plus an assortment of pine, cedar, and more, are arranged in a tall rectangular glass vase.